Richard Hawley • View topic - Come to... Living Wage Benefit Gig - 6th Feb! Post subject: Come to... Living Wage Benefit Gig - 6th Feb! I rarely post about my own gigs on here, but I think some of you Londoners might be interested in this one because it's a benefit for the 'Living Staff, Living Wage' campaigners. 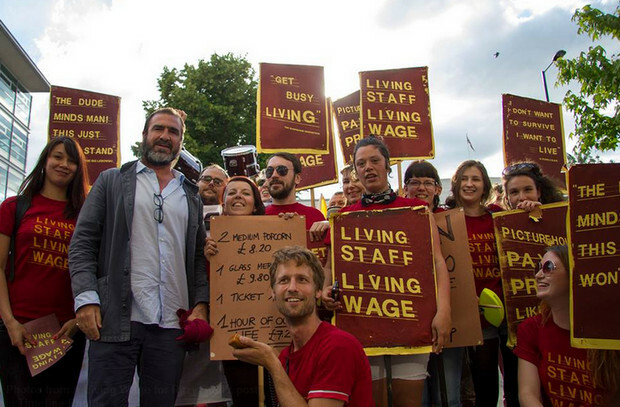 They initially set up to campaign for fair wages at the Ritzy Cinema and drew the support of Eric Cantona, Ken Loach and many others. They're now looking to expand and support workers across London and all over the country. It's great to see that workers can still have some power, and can take on their employers and win! So if you're not doing anything on 6th Feb come see my band and others at what will be a fun and inspiring night. Post subject: Re: Come to... Living Wage Benefit Gig - 6th Feb! Excellent! see you there Helen. Hey RP. Living just down the road from the Ritzy, I've honked my horn many a time driving past the protestors. I'm 100% behind the campaign. If I can come along I will. Be good to say hi at last! Nice one Josie. Please do come along. It'll be fun and nice to meet you! is this the ritzy in brixton?